A local favorite for over ten years. 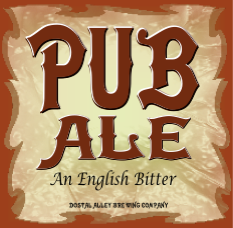 Our Pub Ale is a english style best bitter. A session ale with plenty of flavor. Always a big hit with home brewers, this beer won a silver medal at the GABF a few years ago.